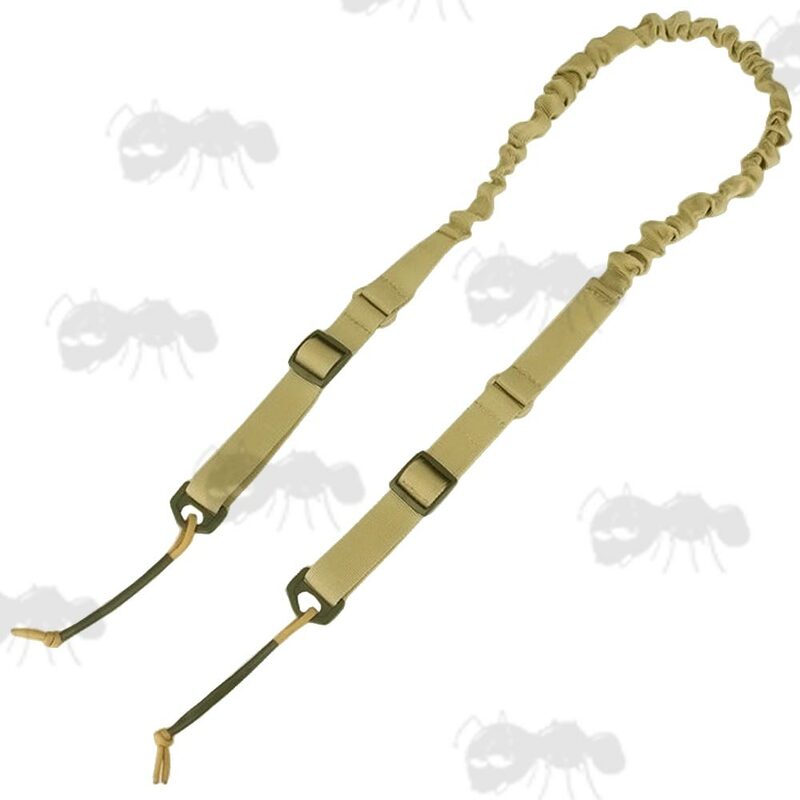 Two point fitting slings with bungee cord. With a long bungee section. 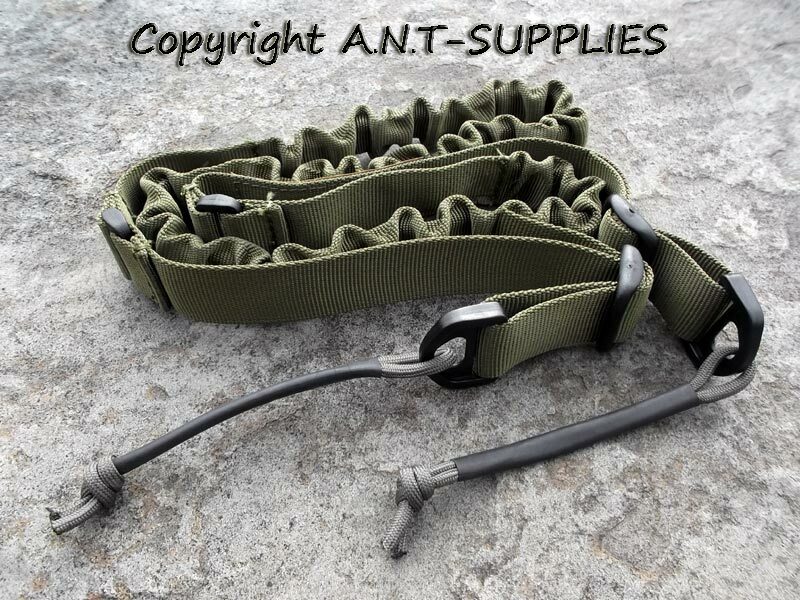 The minimalist design allows fitting to a variety of guns from AR's to Shotguns, AK's to rifles. Both ends have adjustable length tri-glide sliders. Thick plastic D-rings, with paracord loops. Please Note; green is not available but is shown below.